Recently the editors at Edmunds.com released their top-pick for the most innovative car and SUV of 2018. The winners? Or should we say the winner? Honda. Out of six honors awarded during the 2018 Edmunds CES Tech Driven Awards, Honda took home two of them — the all-new Clarity Series earned the Most Innovative Car of the Year award and the Honda CR-V took home the Most Innovative SUV of the Year award. These words of praise probably come as no surprise to anyone who’s followed the forward-thinking Clarity since its debut or anyone who’s ever sat inside the class-leading CRV, Honda fans have long been aware of Honda’s commitment to offering innovative, technologically advanced products without the high-end price tag. Edmunds’ editors went on to praise the Clarity for its cutting-edge approach to electrified powertrain technologies. With three alternative fuel choices — pure electric, plug-in hybrid and hydrogen fuel cell — the Clarity is simply unmatched when it comes to powertrain flexibility. Here’s a bit more on why these Hondas are leaders of innovation. Honda Clarity Hydrogen Fuel Cell: Instead of placing powertrain components in the center of the passenger cabin, Honda’s Clarity Hydrogen Fuel Cell fits entirely under the hood. This design innovation allows more space for passengers (five passengers to be exact) and with more space you inevitably get more comfort. Honda Clarity Plug-In Hybrid: Capable of delivering an estimated 340 miles* of combined gas and electric range, the Honda Clarity Plug-In Hybrid makes incredibly efficient use of a 1.5-liter four-cylinder engine, an electric motor, and a 17-kWh battery. Honda Clarity Electric: And, just to take it up a notch, the Honda Clarity Electric’s battery pack at 25.5-kWh is 50% larger than its hybrid counterpart but in spite of its size and efficient economy — 89 mile all-electric range* — the Clarity Electric’s battery fits neatly behind the rear seats without sacrificing the convenient split-fold seatback. What’s it like to have it all? Ask a CR-V owner. 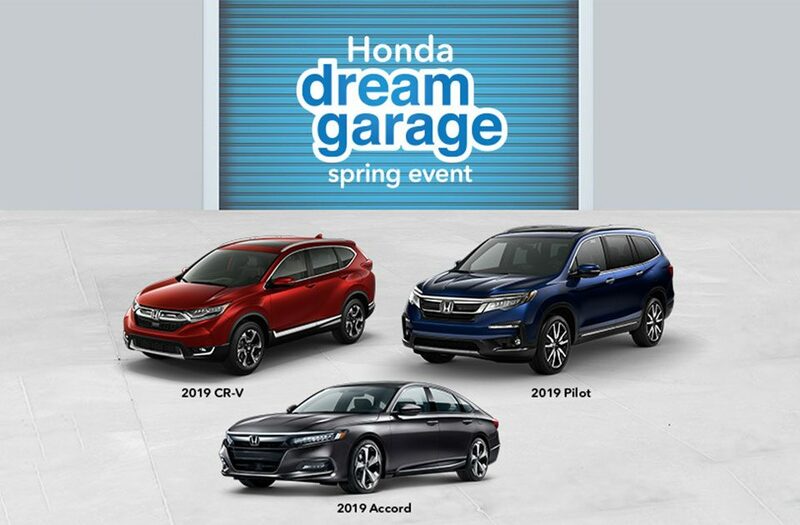 Honda CR-V owners enjoy advanced safety and driver assistance systems, expertly balanced ride and handling, ample low-end torque for city drives, and smart storage solutions. But what the CR-V really gets right is what the editors at Edmunds call “real-world usability.” The CR-V makes use of form and function to mirror the way drivers interact with their vehicles. It has storage where you need it most, tech when you want it, and and easy-to-use and easy-to-understand safety and entertainment features. Stop by our Tracy Honda dealership for more information on the award-winning 2018 Honda Clarity and Honda CRV. A member of our team can explain their innovative features in greater detail and set you up with a test drive. Come feel what it’s like to drive an award winner! *Based on 2018 EPA mileage ratings. Use for comparison purposes only. Your mileage will vary depending on driving conditions, how you drive and maintain your vehicle, battery-pack age/condition, powertrain condition, and other factors.